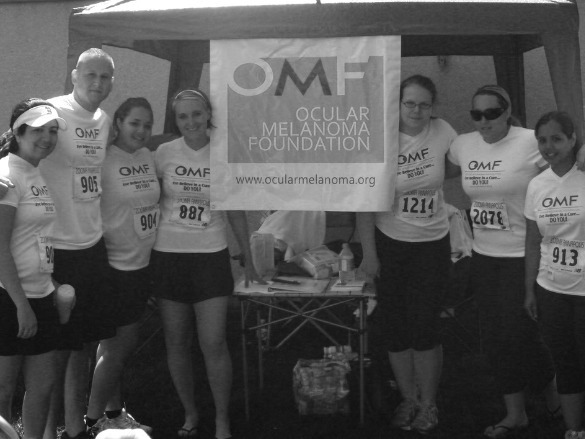 Ocular melanoma is a rare and horrific disease. Affecting only 2,000 or so adults in the U.S. every year, it's squarely an orphan disease and, even with all the advances in oncology, we still know very little about the disease. It's about time we change that. 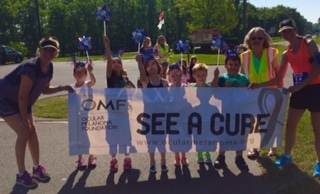 Leading up to the Eye Am Not Alone (EANA) Patient Retreat, we've been searching for an effective grassroots way to get the word out about OM and also raise much-needed funds for the retreat. So, beginning September 17, we are running a 30 day Make Change Challenge. 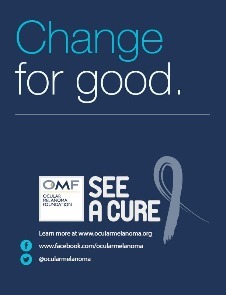 Together, let's make some change for the outlook of eye cancer. To start, begin talking. Talk to your co-workers and your office manager. 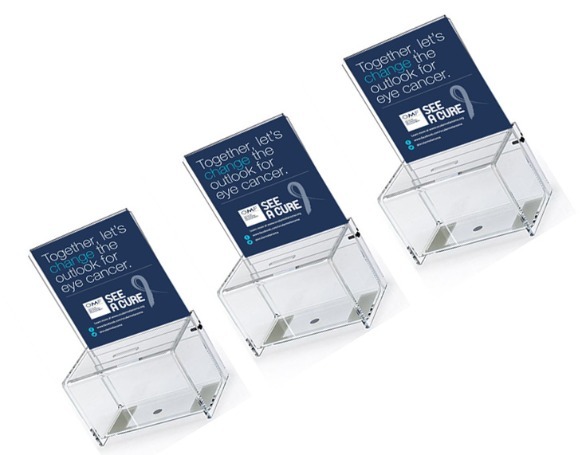 Tell them about OM, tell them to get their eyes checked, and ask them oh-so-nicely to let you set up a donation box (and perhaps some brochures, too) at the front of your office. Next, you can print out some of the below to post around the office and hand out to friends and family. If you'd like OMF tri-fold 'About OM' brochures, just email us and we can get a box of 50 along with silicone OM bracelets out to you asap. 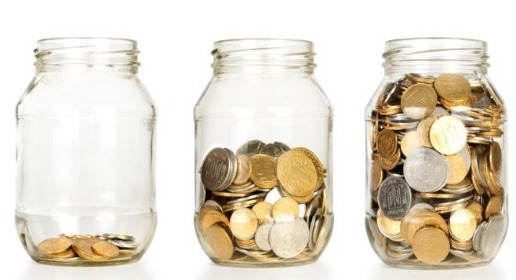 Around the country, folks are already having success raising money with tin cans, glass jars, even hats. 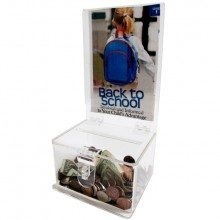 If you'd like a more 'professional' solution, though, we're happy to mail you an acrylic donation box. Just email us. You, of course, can also make your own. We like the below boxes from Amazon for $20. The above Insert flyer fill print out and fit perfectly in the 5 x 7 in. opening. Be sure and send us a picture of your setup and Tweet with the hastag #seeacure. Collecting change is good. Doing that in conjunction with spreading the word about OM and having meaningful conversations is even better. You can go further, though. If you or your co-workers would like to make a larger donation to OMF, you can click on the secure link to the right. All gifts to OMF are tax-deductible. Upon receipt of your gift, OMF will mail you a receipt for your IRS records.